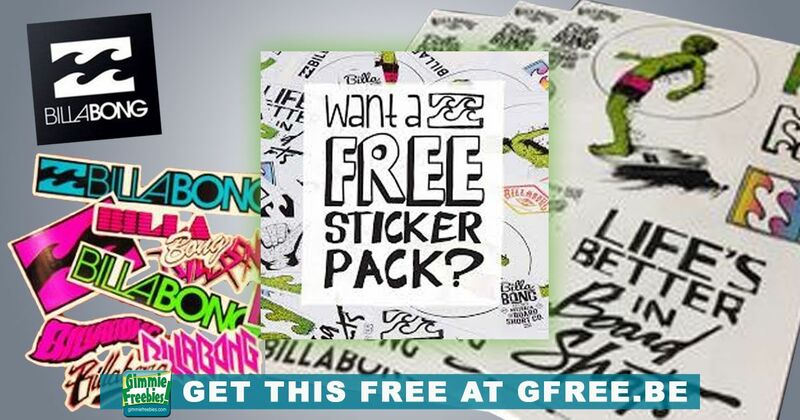 Head on over and request your free Surf Stickers from Billabong! Many GimmieFreebies fans have already gotten these Free Surf Stickers in the mail. The offer has been around for quite some time, although they discontinue and then re-offer it regularly. It is open now, so go request yours. Billabong is a brand name that makes clothing and accessories for surfers, skateboarders and more. Find Clothing, Dresses, Swimwear, Boardshorts, Tees, Swimwear, Dresses, Wetsuits, Snow Outerwear, etc. The name Billabong is actually an Australian term for a body of water formed when the path of a river or creek changes, forming a dead end. So, in short, it kind of means dead end. Certainly, it would be hard to surf in a dead end!